It can be very discouraging, that is why I have changed my thinking/opinion on the topic of New Year’s resolutions. I do like to take time to reflect at the end of each year. I try to take stock (so to speak) of my intentions that I set out in the beginning of the year. I try to think rationally, not emotionally (a skill that I am constantly honing it all aspects of my life). I try to keep things in perspective – everything is not always black & white. Then I plan for the future … what things are important to me to achieve? 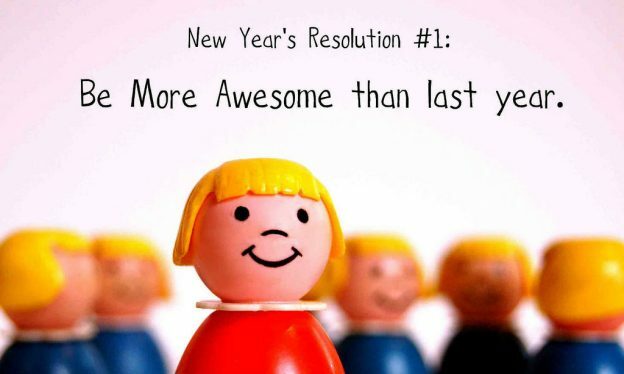 That’s why I like to make Goals … not resolutions! To me, resolutions can almost seem like wishes. Goals (again to my thinking) are like having a game plan to get were you want to be. I try to break the main goal into “bite-size”, doable tasks. As you know, I ♥ checking things off my to-do list ?